For this flight I was transferring from a Virgin Australia domestic flight to the international leg of my trip in Sydney, therefore my bags had already been checked in through to Hong Kong. 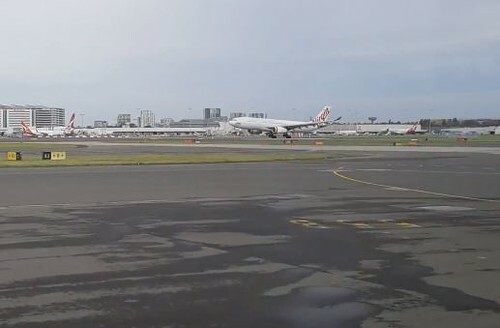 Sydney’s domestic and international terminal are not connected, and a bus transfer is required. This is a great opportunity to do some spotting between terminals. I was lucky enough to be up close to a Virgin A330-200 as it arrived however not my plane for this trip. 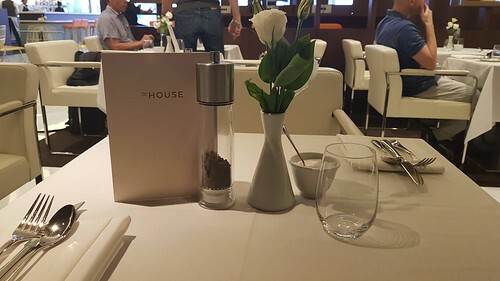 The lounge at Sydney used by Virgin Australia has been recently rebranded to “The House” this lounge is used by both Virgin Australia and Etihad. The lounge has a well-stocked bar, buffet and restaurant style dining on demand. The food selection was great, and the ambiance was nice and relaxing. No announcements are made in the lounge in relation to boarding of aircraft, so I headed to the gate with plenty of time. As I was travelling in Business Class, I was given priority boarding. My flight departed on time and took off from Runway 16R Southbound before banking right toward Hong Kong. I absolutely love the seats in Virgin Australia’s Business Class. They are in a 1-2-1 reverse herringbone configuration. This gives them ample amounts of privacy. As always, the window seat are geared toward solo travellers and the middle two for couples. 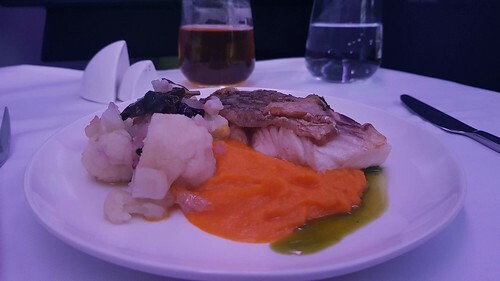 For this flight there are two meal services, a main meal about 30 minutes after take-off and then a light snack about 1 hours before arrival. The meal service starts with some nice olives and biscuits with your choice of beverage. Then followed by an entrée and main. The second meal served was a selection of dumpling. Both meals were fantastic and delicious. Total flight time for this trip was just under 8hr30, we made great time to Hong Kong however were put in a holding pattern due to traffic. 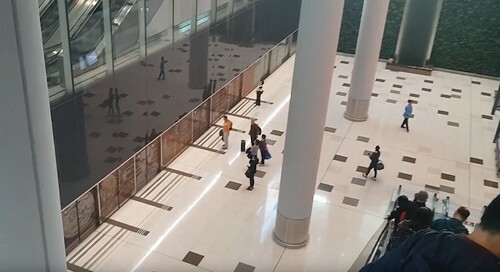 VA uses the midfield concourse gate at HKIA meaning a train connection is required to get from the gate to the baggage and immigration hall. Overall this flight was a great experience and one I highly recommend. 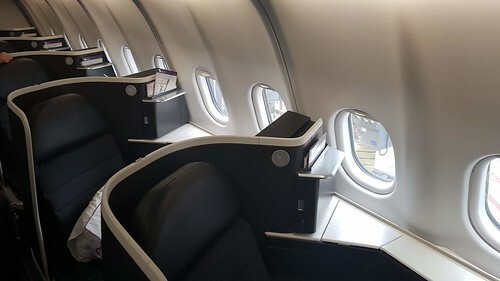 Virgin Australia have not long been operating direct flights from Sydney to Hong Kong, with the main provider previously being Cathay Pacific. 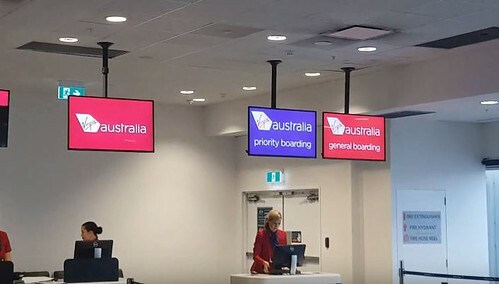 Virgin Australia really give CX a run for their money service wise, providing excellent hospitality. VA’s reverse herringbone seat is on par with CXs A350 layout but where VA wins is the cost of the ticket. On this flight VA was 30% cheaper than CX. Thanks for reading this review, as I mentioned I normally post my flight videos to Youtube and you can find this one at the link below. Nice video, The Business looks a good product. When I flew the same flight in economy I thought it was fine if unremarkable, although I think the second meal in economy was larger than your one business oddly. Thanks for checking out this flight report Ryanair01. I have done this trips a few times with Virgin but not in economy yet. Might have to give it a go next time especially if they are giving bigger meals back there (might still go for an extra legroom seat). Thanks for the TR. Any experience on how this compares with QF as well as CX on the route? I have not flown with QF for a number of years internationally so do not have experience with them on this route. I have flown CX before in the A350 to Hong Kong from Brisbane. The seats are almost the same both in the reverse herringbone configuration. One thing the CX seat has over Virgin is the location of the tray table – VA’s is located directly in front of you and locked into position when not in use. This can be bothersome when using the lay flat bed as it minimises the space. CX has theirs located is the side which slides out when in use. The IFE screen can be pushed aside and locked away when not in use – this is a small difference however make a big difference when using the bed. The price with VA is normally cheaper and seems to go on sale more frequently than CX. When on sale they can be $500-$600AUD cheaper than CX. I haven't flown SYD-HKG for years. About 5 or 6 weeks before the new airport opened. That put me on the my last HKG landing with the famous turn and was about 20 years after my first Australia - HKG flight. I was upstairs in Business class and talking to the FA - and ended up behind the Captain for the landing, Went up front when we were down to about 10,000 feet and immediately turned into a 5 year old kid! The turn was pretty impressive up front but it was the first time I noticed that the Captain puts the nose down just as sharply as the wing. Thank for the feedback TN486 - will keep it in mind for my next upload.